Contrary to popular belief Dom Pierre Pérignon did not invent Champagne. But, he did invent the first really good champagne. 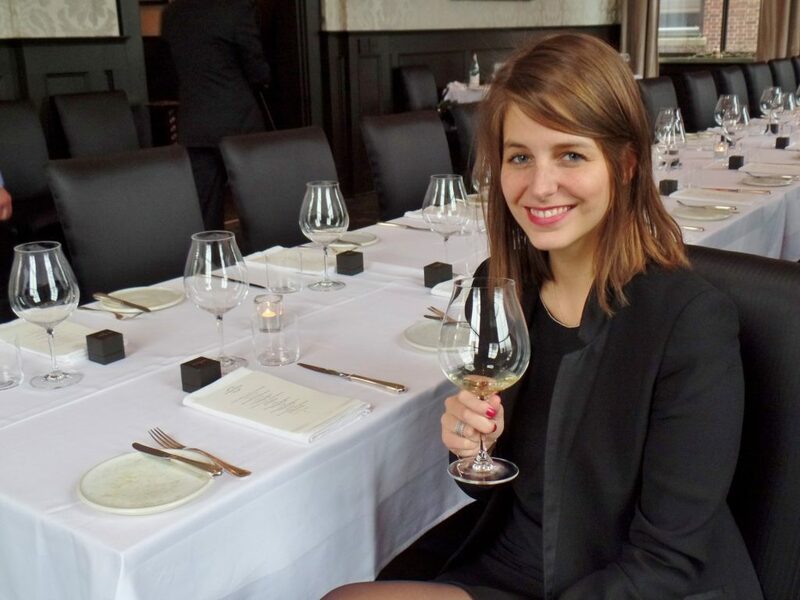 So says Charlotte De Poncins, National Brand Manager for Moët Hennessy Wines and Champagnes. I met De Poncins at Raymonds. 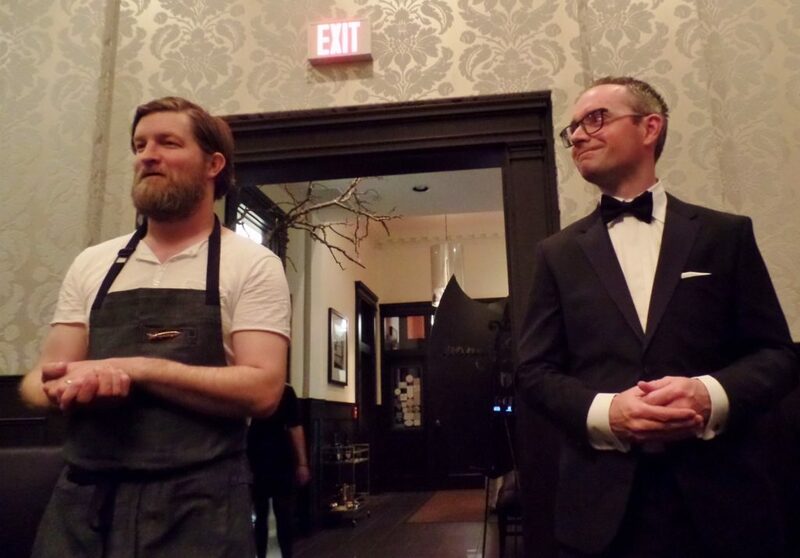 The lauded duo of Jeremy Charles and Jeremy Bonia hosted a Dom Pérignon dinner last week and pulled out every stop to produce a culinary equivalent to a Bach organ prelude. It was grand and majestic. 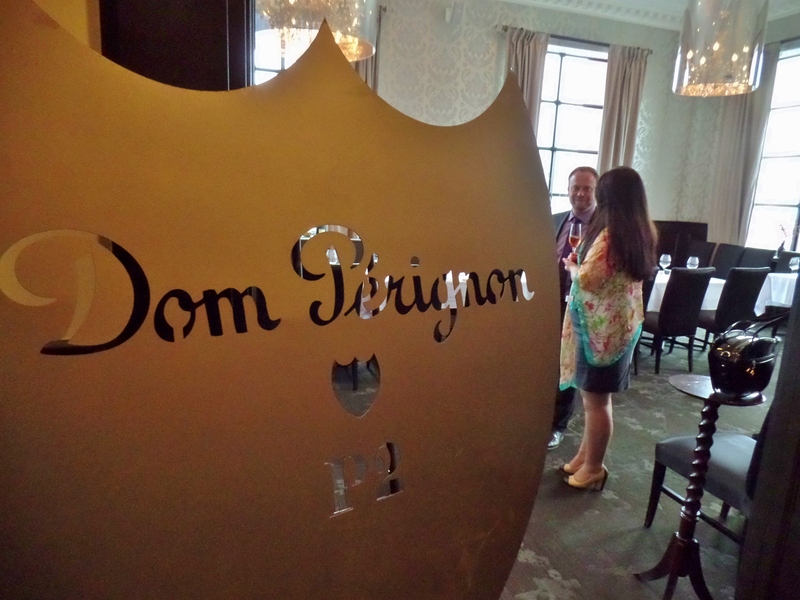 Every course was paired with a different iteration of Dom Pérignon Champagne. 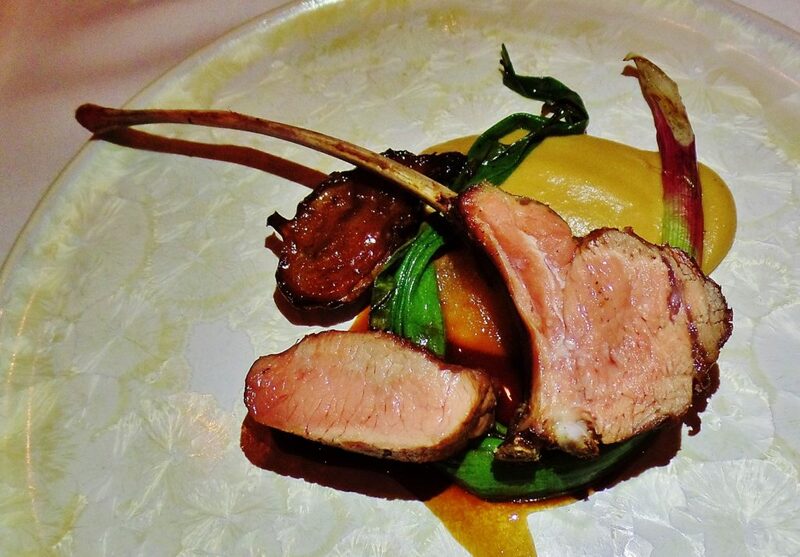 You may wonder if Champagne can be paired with an entire meal. 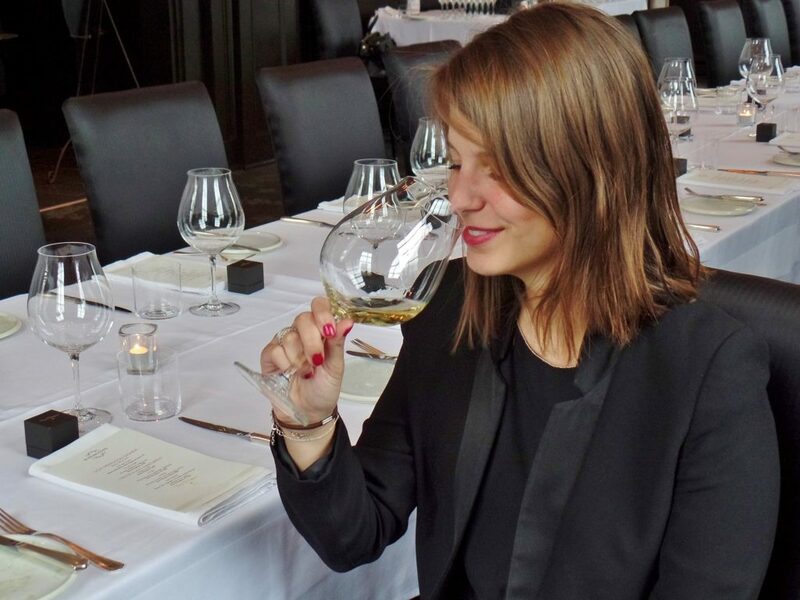 Sommelier Bonia believes it is possible. The meal began with a palate teaser, a miniature blini about the size of a loonie. In “Russian Cuisine” author Maria Depenweiller states that “in the early days, the round shape of the blini symbolized the sun, and was associated with the Slavic sun god Yarilo.” She also says that blinis were popular during something called Maslenitsa, “the time to celebrate the end of winter and the beginning of spring.” Given the late start of Newfoundland’s spring I thought Raymonds’ tiny, perfect sun arrived right on cue. Raymonds’ blini canapé was built on a supple potato pancake. 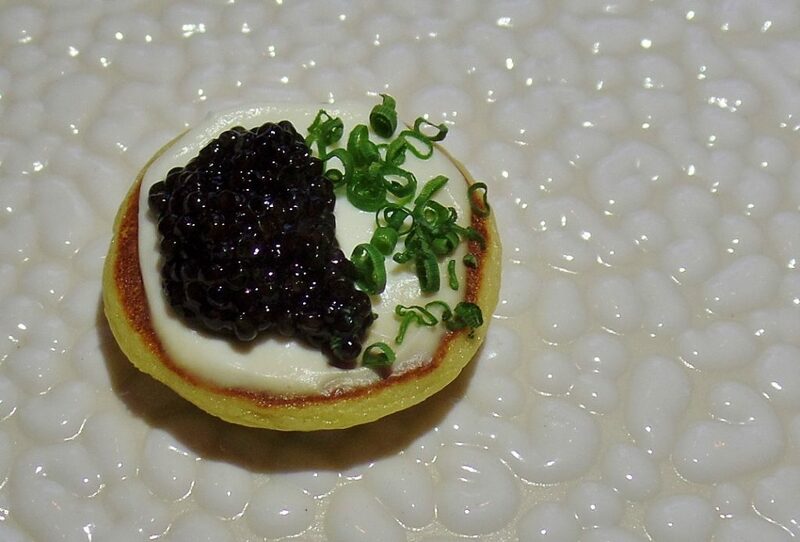 Taking prominence on a soupçon of thickened cream was black, glinting Acadian sturgeon caviar. I put the blini in my mouth and allowed it to register on my taste buds. A sip of Champagne with its subtle yet assertive effervescence washed over it long enough to spark a desire for more, more food, more Champagne. The Dom Pérignon, 2006 was next paired with our first course, a single amazing scallop. Its golden top surface demarcated by a charred border directed the eye downward to the creature’s plump flesh, gently sinking into puréed parsnip. 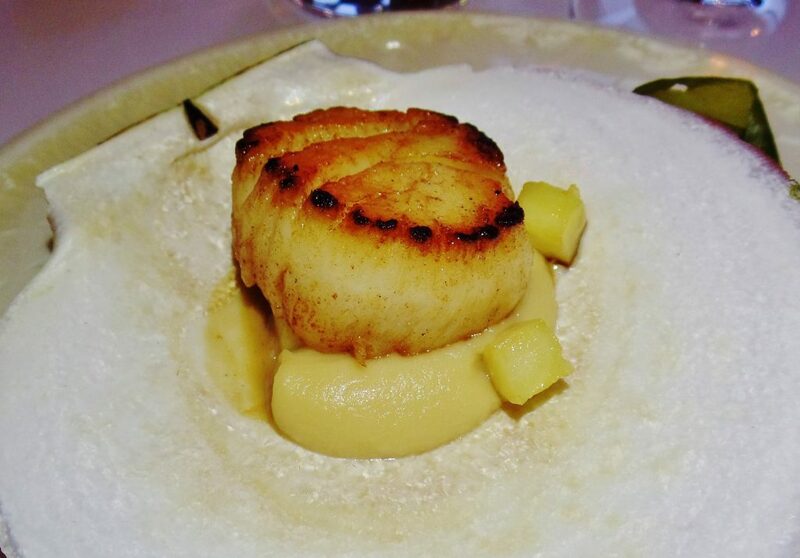 The scallop had been living in the ocean that morning and, thanks to skillful cooking, its unique freshness and integrity were retained. 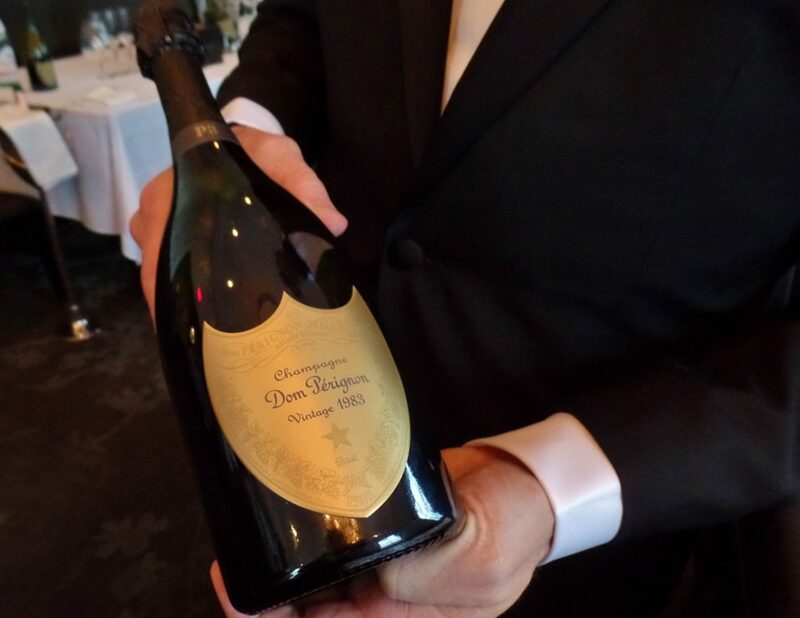 Bonia explained that rich seafood like scallop is best paired with Dom Pérignon, 2006 because of the wine’s youth and high acidity. I assume because it stands a better chance of not being suppressed by the richness of the seafood. Balance is maintained. 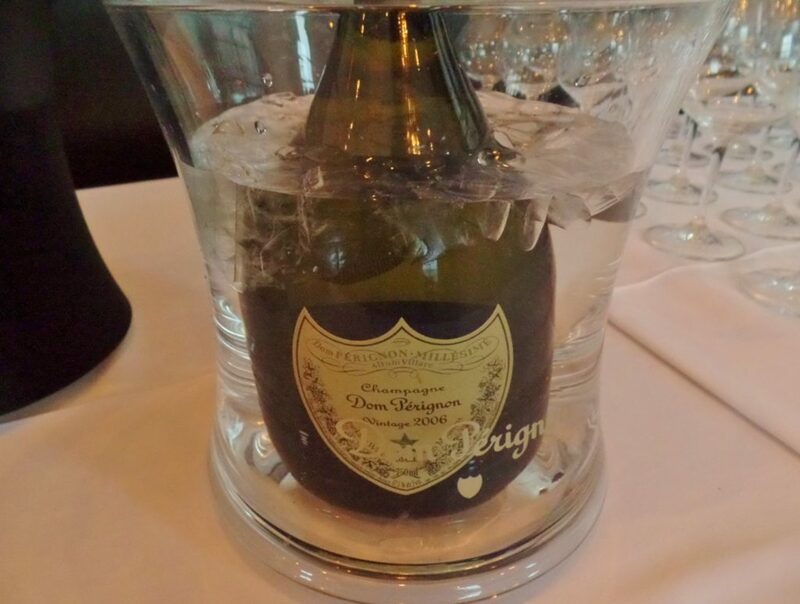 Another young wine, Dom Pérignon, 2005, was paired effectively with a succulent meat and seafood course. 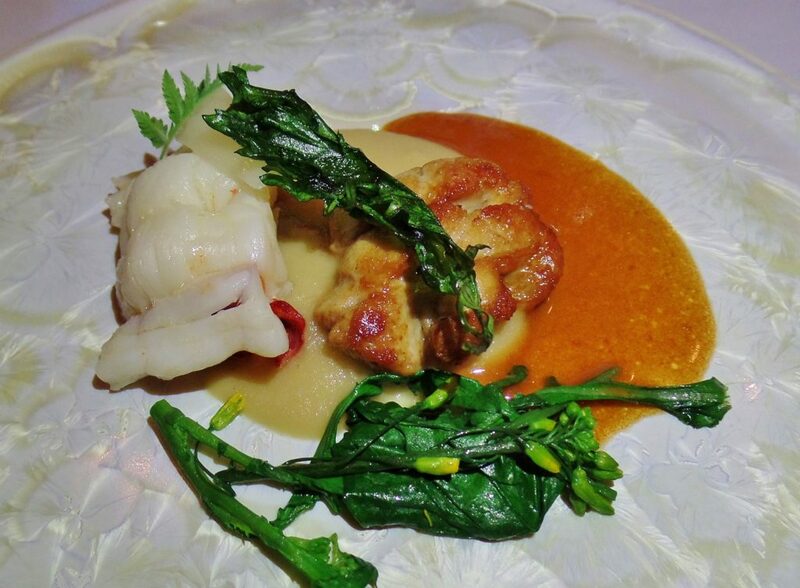 The puréed root vegetable served this time as a pillow for a cut of lobster tail and small portion of golden crusted veal sweetbread. Surprised by the incredible tenderness of the sweetbread, I made a note to ask how this pleasing delicateness had been achieved. 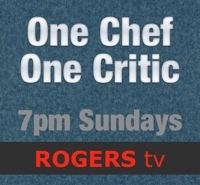 Chef Charles later confirmed that the sweetbread had been brined in preparation for cooking. As the evening progressed so did the weight of the food and the wine. Jeremy Bonia spoke frankly about this compatibility. 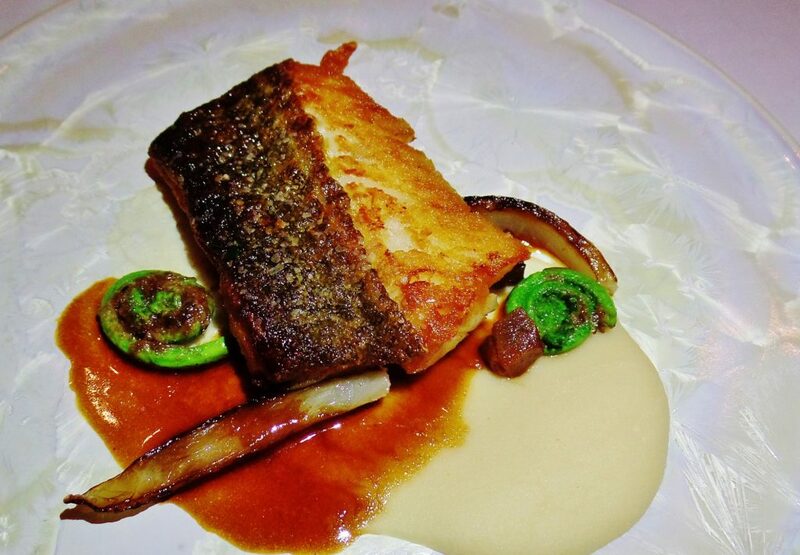 In the case of our third course (skin on cod with sliver of smoked pork, white bean purée and fiddleheads) the choice of the more complex Dom Pérignon, P2 1998 was on point. Bolder, nutty, rich and slightly salty, this wine perfectly complemented the food and the plate’s meaty sauce. If you had told me the cod had been caught that day too I would have believed it. It was brilliant in every way. I felt a fanfare or at least a drumroll should have announced the pouring of the final Champagne. It was the very rare Dom Pérignon, P3 1983. Already 30 plus years old, the wine, according to Charlotte De Poncins, could still afford to age many more years without losing its current fresh vitality. The venerable P3 was paired with a dessert created by Raymonds pastry chef, Celeste Mah. 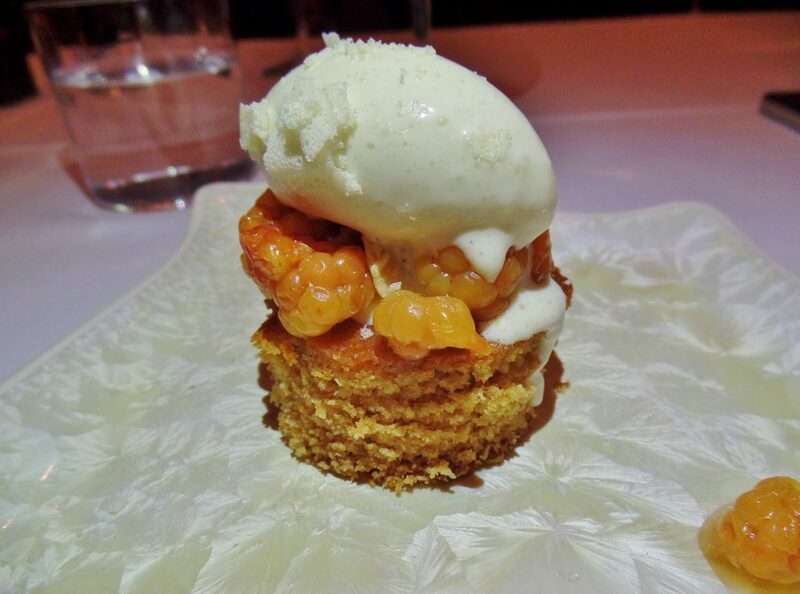 It was honey cake, with bee pollen candied almonds, topped with bakeapples and small scoop of Labrador tea ice cream. I suspect it may have been the first time Dom Pérignon had met a bakeapple but the assignation was, as they say, a resounding success; and so was the entire evening.